The British Province of Carmelites makes an annual pilgrimage to Lourdes, the famous Marian shrine in the French Pyrenees. In 1858 the Blessed Virgin Mary, Our Lady, appeared 18 times to Bernadette Soubirous, a peasant girl in the French town of Lourdes. 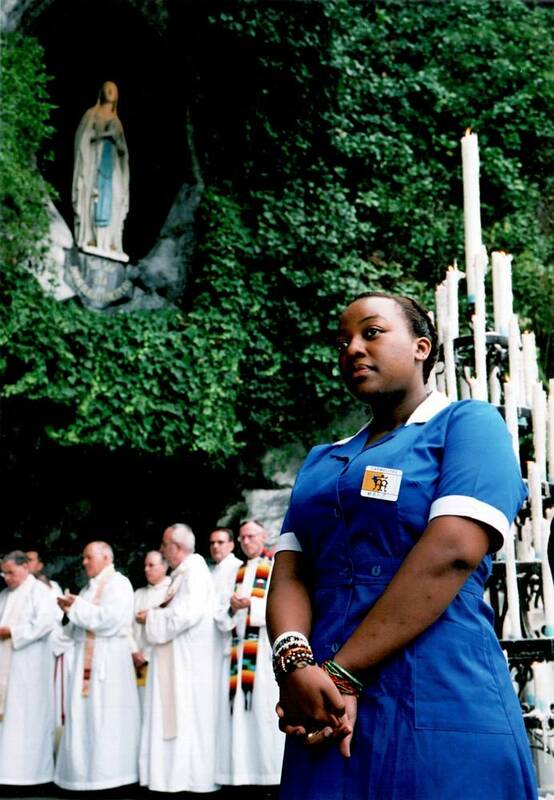 Today Lourdes is a major centre of prayer attracting some 6 million pilgrims a year. Among those are a number of Carmelite pilgrimages. There are strong resonances between Carmelite spirituality and what is termed the 'message of Lourdes', which is essentially an echoing of the Gospel message of God's love for humanity. The final apparition of Mary to Saint Bernadette took place on 16th July, Feast of Our Lady of Mount Carmel, when Bernadette said that Our Lady "was more beautiful than ever". Today a monastery of Carmelite nuns stands on the spot where Bernadette prayed that day. In 2017 the Carmelites will again be joining the Catholic Association pilgrimage to Lourdes between 18th and 25th August. The Carmelite Pilgrimage Group in Lourdes in August 2013. Regular pilgrimages to Lourdes are also run by other provinces of the Order, most notably the Irish Province of Carmelites. Saint Bernadette - pray for us! You can read about previous Province pilgrimages to Lourdes in our Lourdes archive by clicking here. The Catholic Association Pilgrimage in 2013.